My Father's Yearbook is something you should read. On 2/28/2018, Carolyn Fossum-Miller contacted us from the CCC Museum website. "My relative was a CC Boy"
"Would like to donate my Father's CCC South Dakota District History (green) handbook, signed by John Chapman. Is this something that would be appreciated at your visitor center? Does not need to be displayed, and maybe part of your archival references." 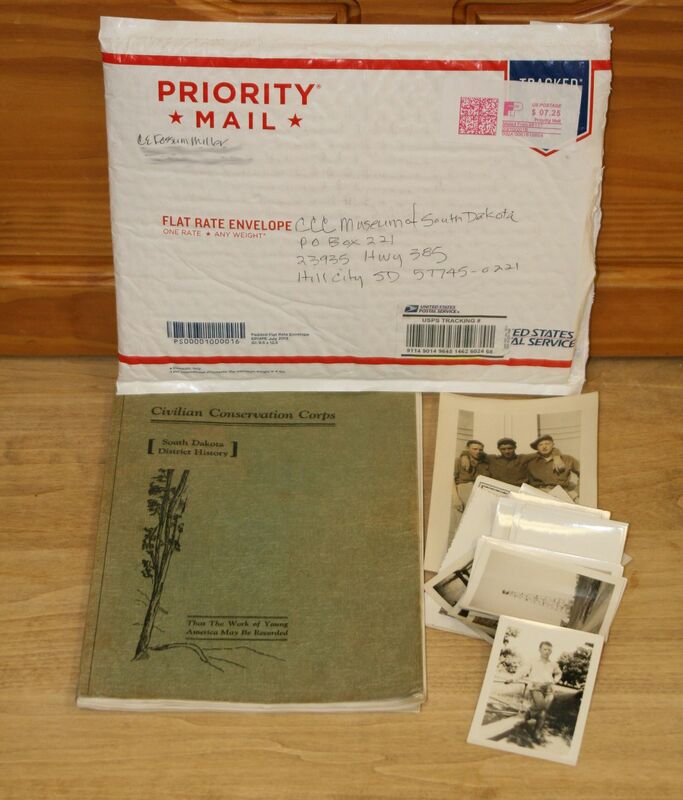 The image below shows the package that arrived at the CCC Museum of South Dakota. Robert Fossum is seen in the photo bottom right. The photos and annual were scanned so that the orignals can be stored. The reproductions can be viewed without the worry of wear. Yes! 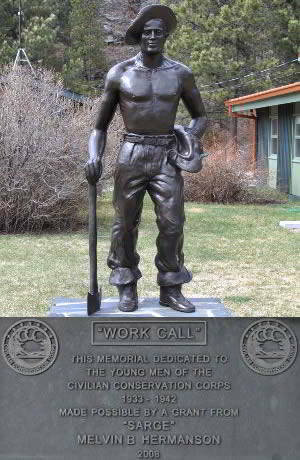 This would be appreciated at the visitor center- CCC Museum of South Dakota.